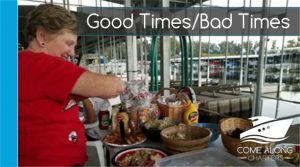 Travel with Jill and Captain Sean as they navigate their way from the Midwest to Key West on America’s heartland rivers and scenic waterways. 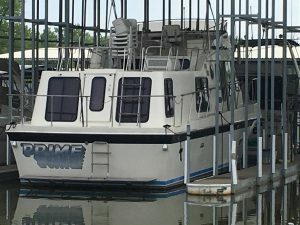 They’ve sold their house, most of their possessions and bought a 1977 Boatel Yacht currently called “Prime Time”. Follow vicariously on our website & social media or literally ‘come along’ for some part of the adventure — why not? The trip began in Omaha, Nebraska down the Missouri River to St. Joe, Kansas City and our home port, Jefferson City. 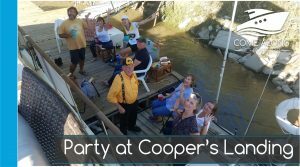 We are laid over at Cooper’s Landing after having a christening party and are waiting on parts. October 6 we hope to head toe Herman/Washington, on to Port Charles and next stop Kimswick. 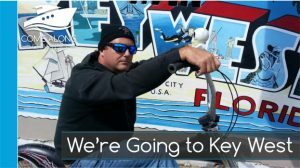 Our goal is to get Prime Time as far south as possible on the ‘Great Loop’ before end of October when we’ll have to return to Key West for a few months to work. If any of that fits into your schedule and you’d like to ‘come along’ for a part of it, send us a message! 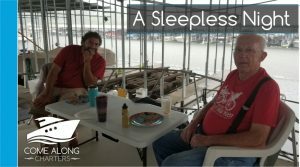 Provisioning a new boat takes a lot of time, energy and research. 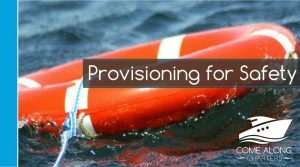 Find links to the products and services we have purchased and are using for our journey. 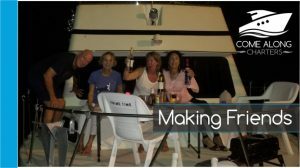 We've traveled all over the Caribbean and Mexico on a variety of vessels. 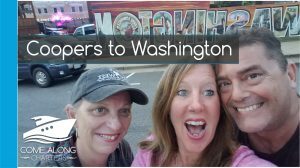 See our travel logs and photo albums from past trips. Learn more about how you can travel with us. 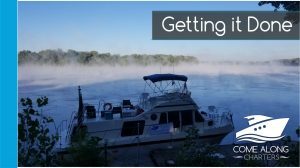 Meet Jill and Sean and learn more about why they started this journey and what it's going to take to finish it! You're invited to literally ‘come along’ for some part of the adventure. 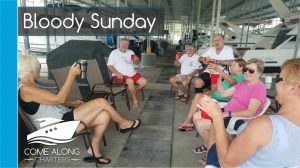 If you have a flexible schedule and a desire to be a part of the boating community on the Great Loop, contact us now! 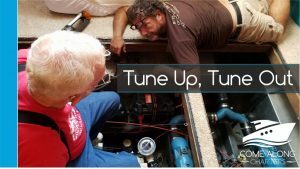 These are the photos of Prime Time as they appeared on the Craigslist ad. 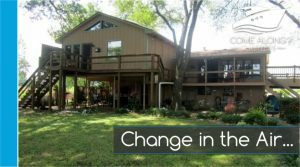 We’ve been updating but the basic layout remains the same. Take a Tour: Entry into the boat on the starboard side to the lower helm station which is part of the main salon. 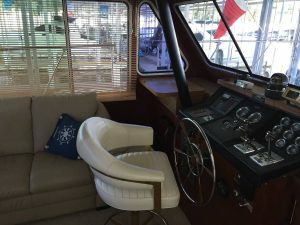 The boat can be operated from inside or the upper deck. The interior walls are oiled teak and the sole is a neutral carpet. The salon has a convertible sofa, chair and small antique desk. 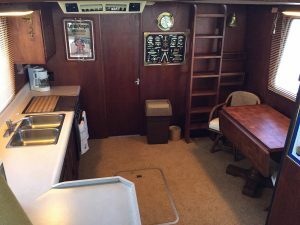 Down a step is the galley with lots of counter space and storage inside teak cabinets. 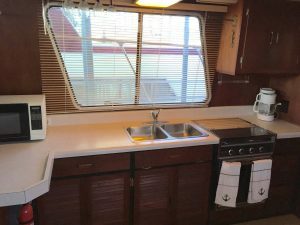 It has a double sink, stainless steel apartment size fridge with freezer and a three burner gimbled stove with oven. 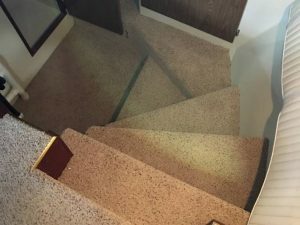 There is a ladder to a hatch to the mid deck and a floor hatch to the large storage area down below. 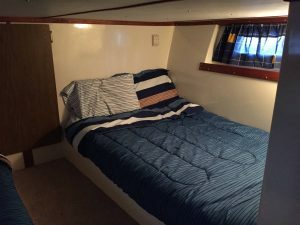 Behind the galley is the master bedroom with a small hanging locker, dresser and a full size new memory foam mattress on a pedestal frame with lots of room under for storage. 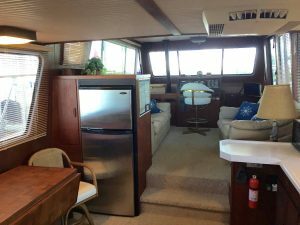 Three floor hatches lead to the twin Crusader 350 engines and Onan generator. 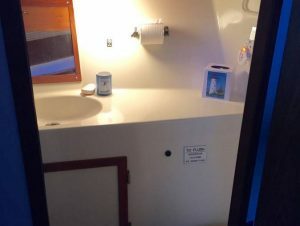 There is a door to exit to the stern in the stateroom. 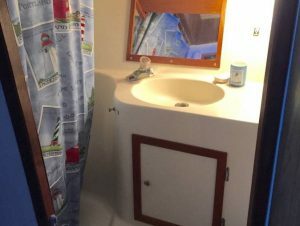 From the salon toward the bow, four steps lead down to the head with a push button flushing marine toilet that empties to a holding tank, a fresh water shower with small tub and a sink basin. 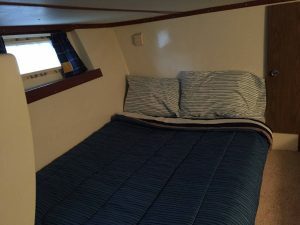 Also below is the guest sleeping quarters with two double platform beds and access to the storage room. It has an accordion wall for privacy. 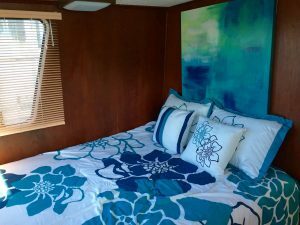 The boat has a roof top air conditioner and heating system and all the windows open for great fresh cross breezes. The bow has cushioned seating and a convertible table for dining. 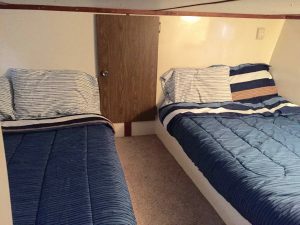 Access to the upper decks is by vertical ladder at the stern or through the galley inside. The mid deck is spacious and open, perfect for relaxing and enjoying the sunshine with a settee, two chairs and a coffee table. A small grill is set up for barbeques. 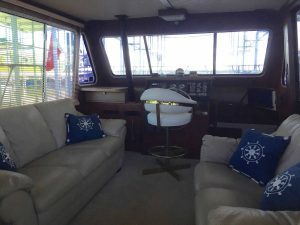 The upper deck is covered by a sunbrella bimini top for shade and has cushioned seating for 6 or more, in addition to the Captain’s helm station. Modern electronics include a chart plotter, VHF radio and a chirp sonar along with an IPAD that coordinates the services. She has two danforths and a hurricane anchors. 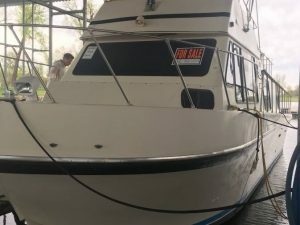 The boat holds approximately 180 gallons of gas and 100 gallons of fresh water. 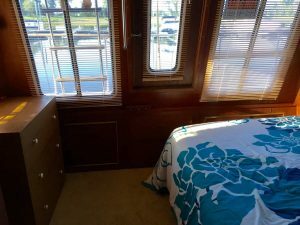 She can sleep up to 8 guests and accommodate up to 30 for a dockside party. 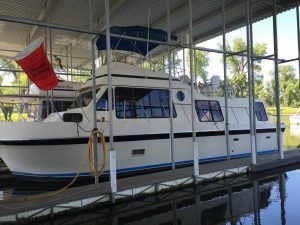 She was built in 1977 by Boatel Yacht Company and is a Bluewater custom model. She’s currently named Prime Time. 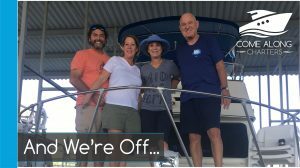 Captain Sean and “Admiral” Jill are on board Prime Time with Come Along Charters and our guests Mary Ann and John headed from Omaha to Cooper’s Landing near Columbia Missouri.